Jewelry Seen on Hawaii Five-0, Desperate Housewives, 90210, Dynasty, Entourage Movie, Ride Along 2, Middle School, Hell Fest Movie, and more. 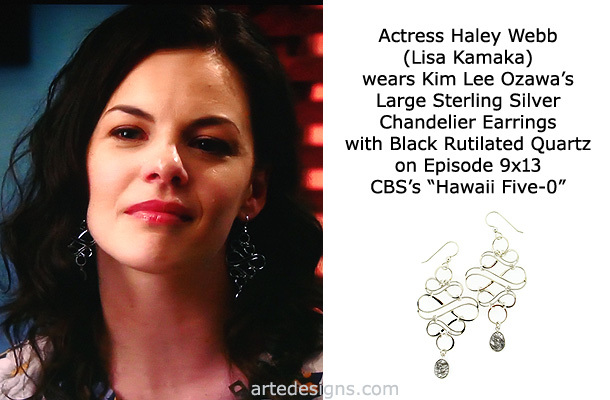 Handmade Jewelry As Seen On Hawaii Five-0 "Lisa Kamaka" (Haley Webb), Episode "Ke Iho Mai Nei Ko Luna (Those Above Are Descending)”. 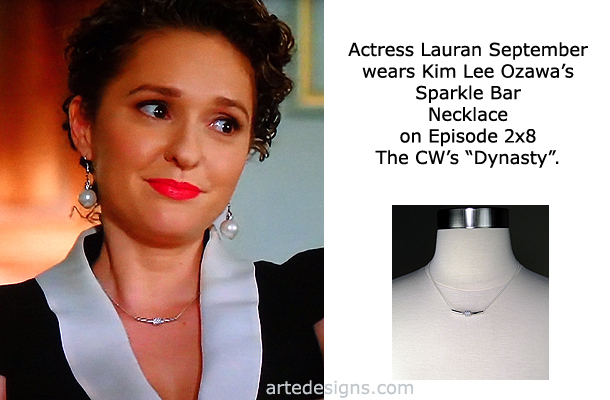 Handmade Jewelry As Seen On Dynasty "Wedding Planner" (Lauran September), Episode "A Real Instinct for the Jugular”. 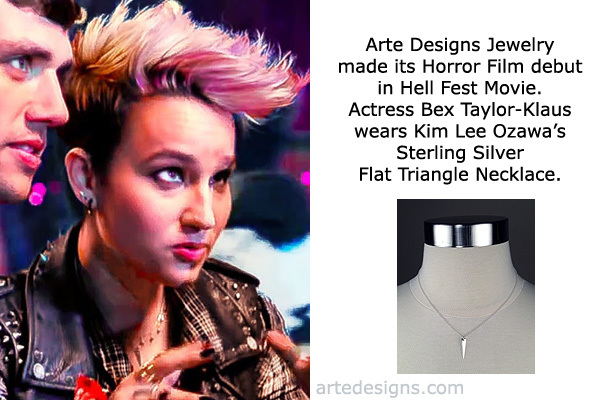 Handmade Jewelry As Seen On Hell Fest Movie "Taylor" (Bex Taylor-Klaus). 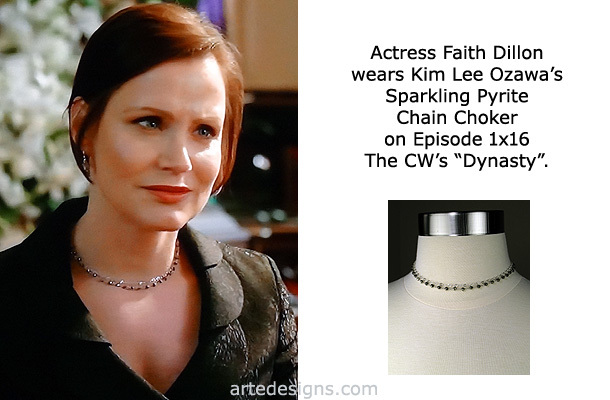 Handmade Jewelry As Seen On Dynasty "Mourner" (Faith Dillon), Episode "Poor Little Rich Girl”. 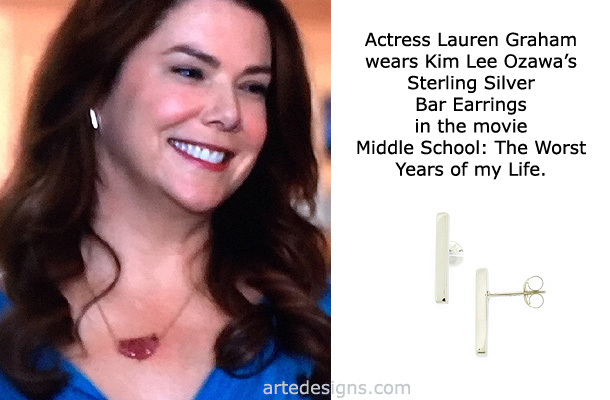 Handmade Jewelry As Seen On Middle School: The Worst Years of My Life "Jules" (Lauren Graham). 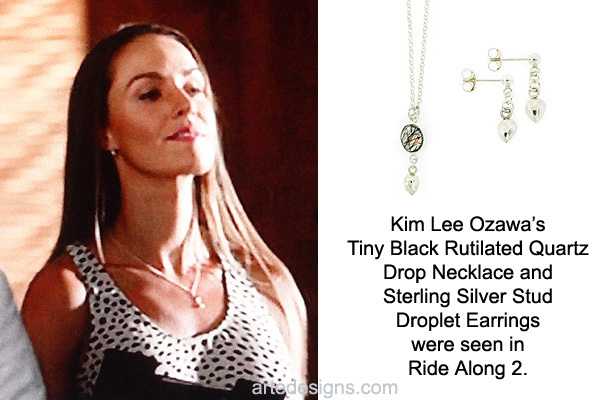 Handmade Jewelry As Seen On Ride Along 2 (Antonio Pope's Assistant). 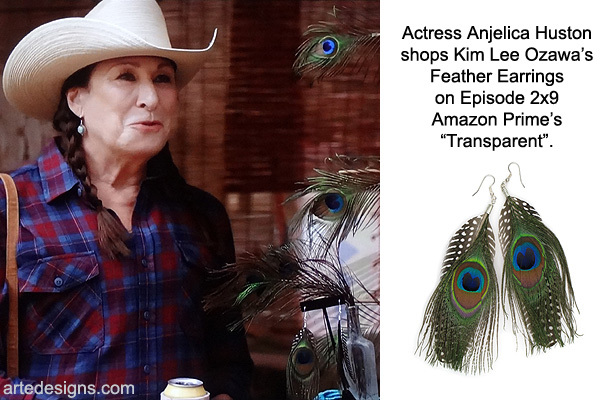 Feather Earrings As Seen On Transparent, Shopped by Anjelica Huston and Jeffrey Tambor, Episode "Man On The Land”. Feather Earrings As Seen On Transparent, Episode "Man On The Land”. Click to shop feather earrings like these. 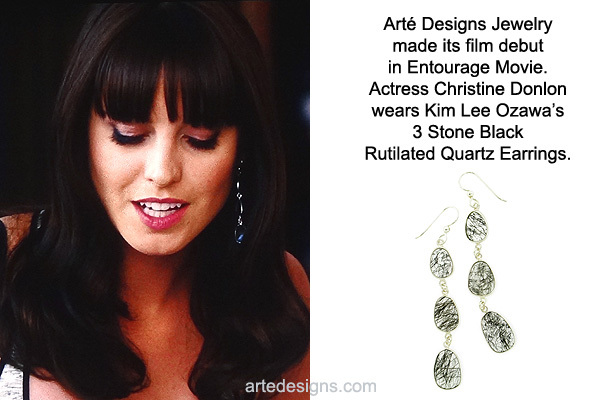 Handmade Jewelry As Seen On Entourage Movie Christine Donlon. 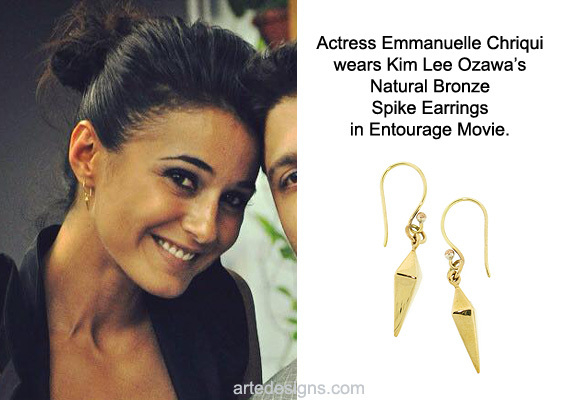 Handmade Jewelry As Seen On Entourage Movie "Sloan" (Emmanuelle Chriqui). 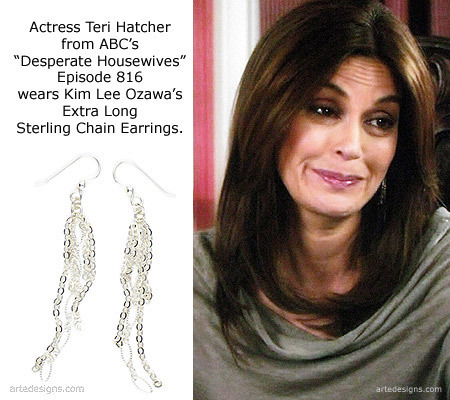 Handmade Jewelry As Seen On Desperate Housewives "Susan" (Teri Hatcher), Episode "You Take for Granted”. 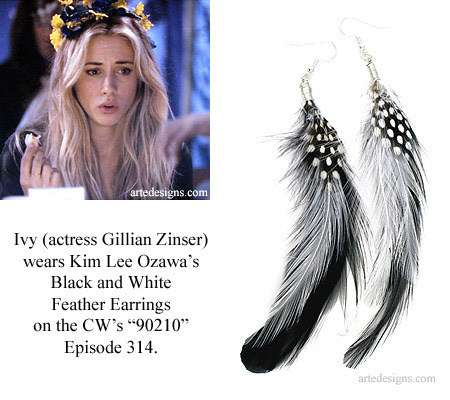 Handmade Jewelry As Seen On 90210 "Ivy" (Gillian Zinser), Episode "All About a Boy”. 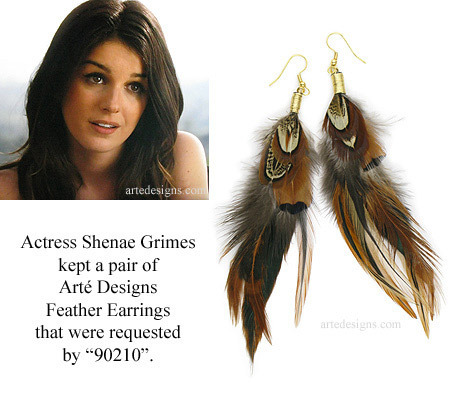 Feather Earrings requested by 90210's actress Shenae Grimes.